Ontario 150 Ambassador’s Pursuit Of 150 Reasons Why This Beautiful Province Is Yours To Discover. For the past 7 weeks, I have had the great pleasure of working with the team at Attractions Ontario as the Ontario 150 Ambassador. This position afforded me the opportunity to see and document several wonderful attractions around this diverse and exciting province. 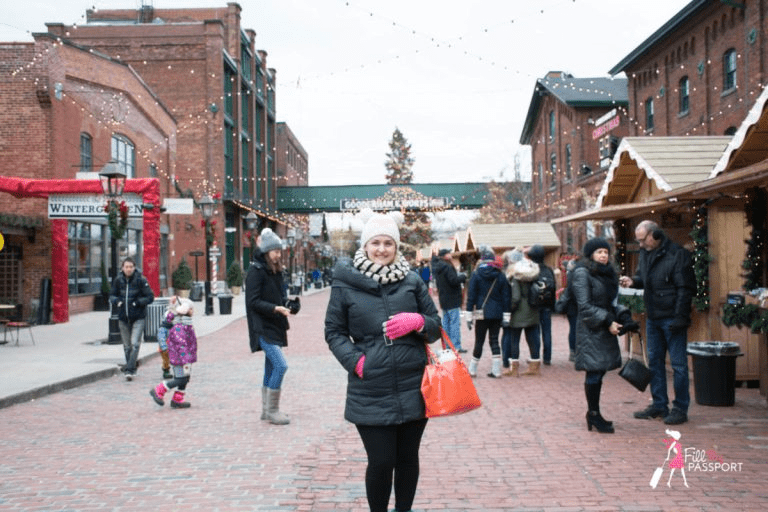 Having spent 25 years of my life living in Ontario, it was a valuable opportunity to visit sites that are just as exciting now as they were in my childhood. Below are just a few of the many destinations and attractions that the province provides, and it is my hope that the following highlights will provide a taste of what is yours to discover. Read on and join me as I take a trip down memory lane! My adventures as the Ontario 150 Ambassador began at Ripley’s Aquarium of Canada for a special event entitled Splash! Canada 150 Proof. In addition to submerging yourself in Canada’s largest indoor aquarium, guests were treated to classic Canadian-themed music, delicious food, cocktails and the most extravagant Caesar you will ever get your hands on. The spirit of Neil Young was definitely in the building! It was a true-to-Toronto sizzling summer day when I had the opportunity to visit Wet’n’wild for their summer opening. Talk about a wonderful place to cool off during the dog days of summer! I began my day lounging poolside under one of the many Cabanas. Coffee in hand of course! My niece and nephew will have a blast cooling off under the giant tipping bucket at Bearfootin’ Bay when I bring them here next week! Time to scratch my thrill-seeking itch by braving the Krazy Kanuck and its back-to-back curves, drops, and vortex loops. Time to gain an appreciation for Canada’s rich visual art heritage. Lawren Harris has always been a favourite of mine since discovering his scenic works on my Royal Conservatory of Music for Piano sheet music at the age of 10. My parents also enjoyed contemplating the Group of Seven’s beautiful work. The vibrant colours of Norval Morrisseau’s Copper Thunderbird are a true treat for the eyes. Time to cross off a bucket list item and take a glide around the neighbourhood on the oh-so-cool Segway. I would be hard pressed to find a more unique location to experience this innovative mode of transportation than in the Distillery District. My Segway experience began with a training session lead by Sergi Guasch and Aaron Binder. Aaron Binder, Chief Experience office of Go Tours Canada was dynamic and engaging as he shared some history of the Distillery. Did you know that over 800 film and television productions have been filmed in this charming district? My tour wouldn’t be complete without enjoying a craft beer in the Mill St. Pub. Guests enjoyed the beautiful estate gardens of Casa Loma while listening to Toronto’s Concert Orchestra under the stars. An elegant setting to appreciate “Timeless Elegance”, featuring Haydn’s Symphony No. 82. Sweeping views of the #6ix from Casa Loma’s Norman Tower. Feeling like royalty at Toronto’s majestic castle. 1) The show starts at 7:30pm, but I recommend arriving at 5pm when doors open for superior seat selection. 2) Visiting as a group? Consider purchasing a bottle of wine from one of two bars to avoid any additional need to hop back in line. 3) Meals and snacks are available throughout the evening. I highly encourage ordering a basket of their perfectly seasoned fries. 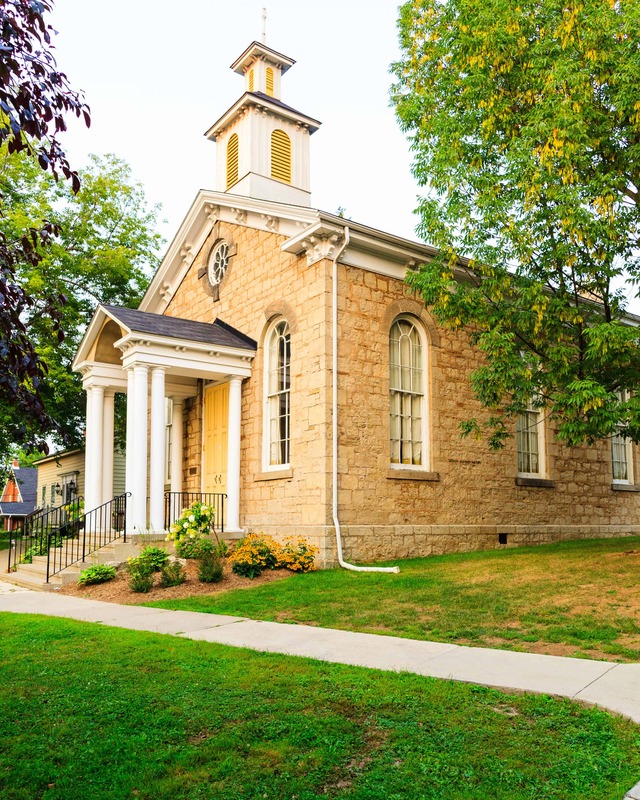 The Haunted Walk of Kingston allows you to learn about Kingston’s dark and eerie past. Your journey through dim and ghostly tunnels begins at the Prince George Hotel, also known as the Tir Nan Og Irish Pub. Brave guests were enthralled by the many stories told by our talented tour guide, Zoe. The Ontario Science Centre has captured minds of all-ages since its opening in 1969. Escape to the lush tropics without the need to step foot on an airplane. Pictured above is the Telus Rain Forest: an authentic living ecosystem complete with waterfall, exotic plants, and the sounds of chirping birds. Space-age Tunnel to the Weston Family Innovation Centre. Another fantastic venue to expand ones mind and horizons is at the Royal Ontario Museum. I have wonderful memories taking field trips with my classmates to the ROM in Toronto as a child. I was eager to re-visit one of North America’s most-renowned museums to explore the extensive collections and artifacts. The Blue Whale Exhibit has been one of the most talked about attractions this summer, and I was thrilled to take the plunge into the eye-opening exhibit entitled Out of the Depths: The Blue Whale Story. The inimitable exhibition narrates the heartbreaking tragedy in 2014 whereby nine extraordinarily rare blue whales perished after becoming trapped by ice off the shoreline of Newfoundland. It was delightful to see families with young children captivated by the eighty-foot skeleton, and learning about the biology of whales. Did you know that blue whales have one of the biggest brains in the animal kingdom? 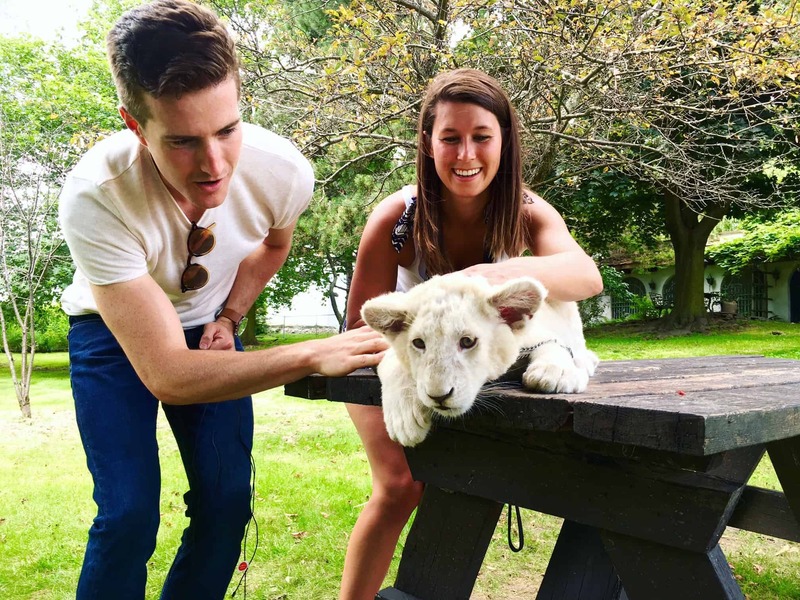 Jungle Cat World is located in Orono, Ontario. Like Attractions Ontario, it was established in 1983! Candace (pictured below) has worked at the park full-time for 10 years. She says that the best part of the job is being outside all day and working with animals. 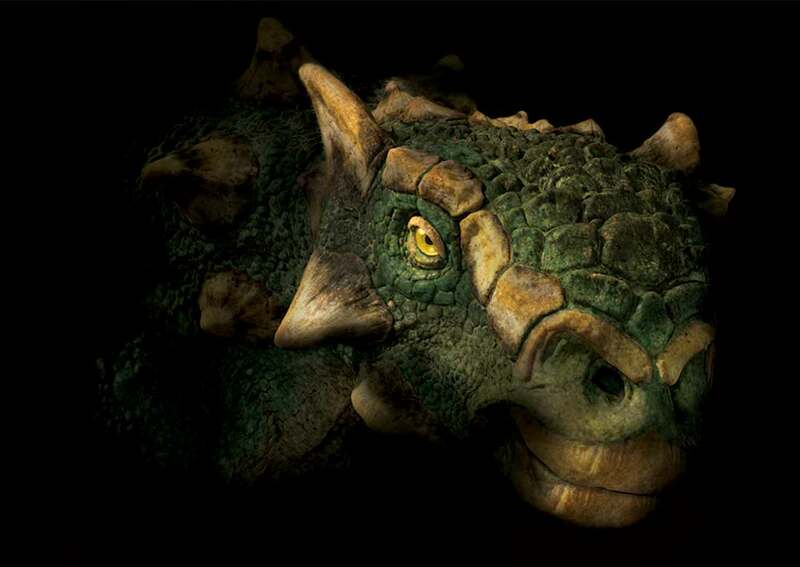 She told me that the most important thing is ensuring that the species do not become extinct. She stresses the importance of doing outreach programs, feeding tours, and getting everyone to interact and get up close with the animals and to have us fall in love them the same way she does! On the topic of getting up close and personal… My friend Marsha and I were fortunate enough to spend some time with this darling lioness cub. How cute is she? Head on over to our Youtube Channel to check out our full Jungle Cat World Experience! Manantler is a small batch craft brewery located in my hometown of Bowmanville, located just 45 minutes east of Toronto. Our server Mariska treated my friend and I to the most enticing of beer flights. Nothing beats drinking locally brewed craft beer with some upbeat live music! I brought actress Marsha Cryderman along with me to the Ganaraska Forest for an exciting afternoon of Treetop Trekking. I documented her experience as she traversed the suspended bridges, Tarzan swings, swinging logs, cable traverses and zip lines! Marsha learned the ropes during the orientation session with Treetop guide, Lindsey. Marsha, like a brave monkey volunteered to lead the way and blaze the trail for the other excited 10 treetop trekkers. PAUL’S TIP! ???? Be sure to bring sunscreen, bottled water, bug spray and most importantly: your A-game. Porcupine Course up first. “Let’s do this!” – exclaimed Marsha. No trek among the trees is complete without a selfie. Nearing the finish line, Marsha soared across the longest zip line. Head on over to our Youtube Channel to get an inside look at Marsha’s adventure! The CN Tower is the world’s 9th tallest free-standing structure. Each year over 1.5 million people visit to take in the breathtaking views, award-winning Canadian dining experience, the thrill of EdgeWalk and all the CN Tower has to offer. This was my second trip to the iconic landmark so I was excited to again ascend the 147 story building. The stunning vistas of the Toronto cityscape are truly remarkable. 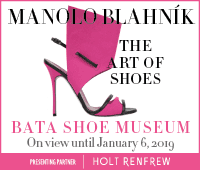 Last but not least, I concluded my incredible summer visiting Ontario attractions to gain an appreciation for how “every shoe has a story” at the Bata Shoe Museum in Toronto. These rad heels were worn by none other than the legendary Lenny Kravitz himself. “I wear my sunglasses at night”… and apparently these striking red kicks! 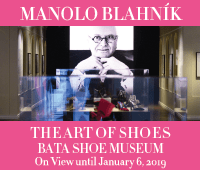 This museum is sure to leave you reflecting on your own footwear and the associated emotional sentiment of each shoe, and may even inspire you to expand your shoe repertoire! It is my that hope you were able to gain a taste of my experiences this summer at some of Ontario’s most photogenic attractions. As I continue my journey documenting attractions in the upcoming year, keep your eyes peeled on www.attractionsontario.ca and our social media feeds to discover more about all the wonderful offerings our province has for your amusement. to continuing my pursuit for 150 reasons why this beautiful province is Yours To Discover.